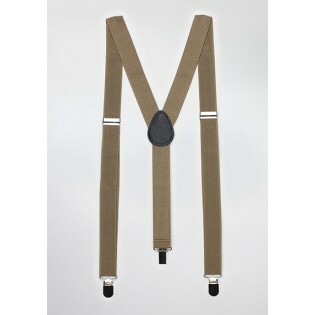 These light brown elastic band suspenders are part of a new accessory collection created to match some of PUCCINI's best selling solid colored ties. The 1-inch wide elastic straps create a modern look. 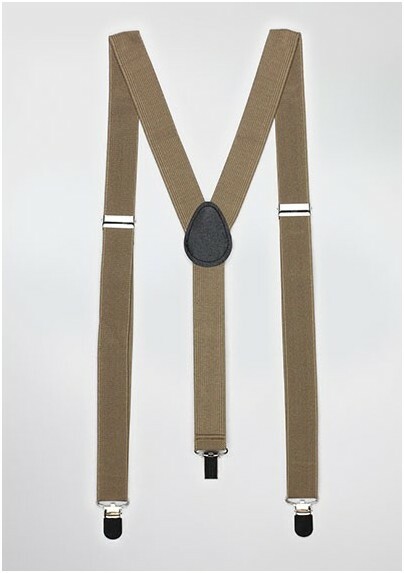 A dress type of suspender featuring a single back strap and two adjustable front straps.